So this time it’s not a discussion topic this time it is a review. I finally got a chance to read chapter 625 of Bleach and while there wasn’t a lot of action in this chapter there was still a lot that happened. Yay!!! So there is a lot of explanation that needs to happen so overall I give this chapter a 7/10 due to many characters returning. But if you haven’t checked out the recent chapter check out soon. If you have then comment down below what you thought of it! Yes I do know what day it is and that I don’t really post on Sunday’s but I just had to post today! I was finally able to catch up on my manga reading and the latest Bleach chapter had me screaming! Sorry for the spoiler but Grimmjow is back! I knew that he couldn’t possibly be dead and I had heard rumors about this a few years back and I can’t believe that it’s true. 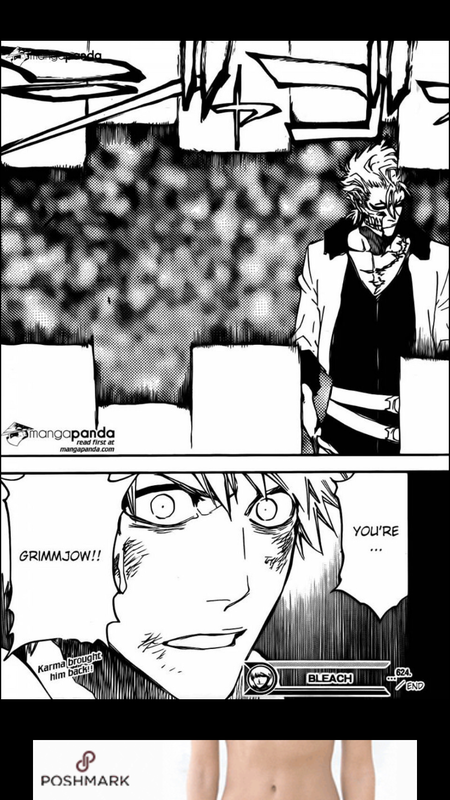 Grimmjow is one of my favorite villains/characters so I’m excited to see what will happen next. But what did you all think of this chapter and what do you suspect will happen now that Grimmjow is back. Comment down below and I will answer you back! Also how would you feel if I started an Instagram page for this blog? Comment about that as well!